Kid Icarus: Uprising is set to take flight on the Nintendo 3DS a week from today. It only makes sense that the next project for Sora, the developer, is the next Super Smash Bros. which was confirmed to be coming to both the Wii U and 3DS. I think this makes a good time to post some of my most wanted newcomers for the next Smash Bros. game. Note: Masahiro Sakurai, the man behind the Super Smash Bros. series, has just finished work on Kid Icarus: Uprising, so do not expect the next installment of SSB to come any time soon. This is just a wishful thinking post. The self-proclaimed "Demon King Ghirahim," this primary antagonist from The Legend of Zelda: Skyward Sword has a myriad of moves at his disposal to trip up Link. His sabre and swordplay alone make him a worthy adversary of the hero clad in green. He can summon a series of daggers to be thrown either one after another or all simultaneously. His Final Smash (pending these sensationally powerful moves return from Brawl) could have him sprout the hard-skinned armor that he had in Link and his final fight on the Sealed Grounds. 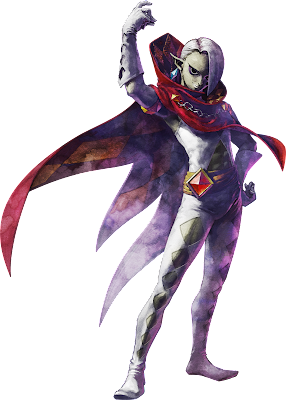 If there is any character that should come from the new installment in The Legend of Zelda franchise, it should be Ghirahim. The king of the Kremling army, King K. Rool previously stole Donkey Kong's banana hoard, ticking off the main monkey. 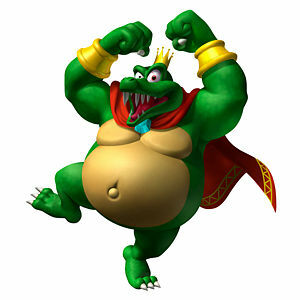 K. Rool is a villain that many Smash Bros. fans have been rooting to appear in a Smash game as a playable character. He has plenty of attacks to challenge his unlucky and unwitting opponents with such as chucking his crown at foes, performing a belly flop to crush his adversaries, and his Final Smash could have him pulling a Gangplank Galleon and launching a series of colossal cannonballs down on all comers. Ridley is the leader of the Space Pirates, and he was the sole cause of the death of a young Samus Aran's parents. 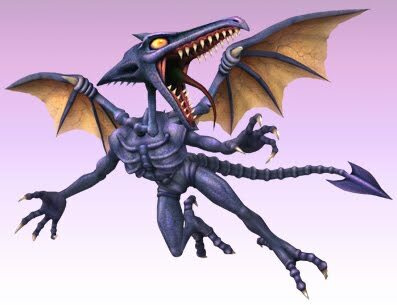 While Ridley and his Metroid Prime form in Meta Ridley have appeared as bosses in Super Smash Bros. Brawl, I think it is about time that a smaller form of the dragon-like creature comes forth as a playable character in the next Smash Bros. game. Like Bowser he could spew fire from his breath, drag his tail along the ground to slice foes, and have an advantage in the skies thanks to his pair of weathered wings. Metroid needs a new face to represent the series apart from Samus, and I believe Ridley would be the perfect candidate. Fox McCloud's on again, off again love interest and teammate on Star Fox, Krystal first appeared in Rare's last console project for Nintendo, the heavily Zelda-inspired Star Fox Adventures. She comes equipped with a staff, ready for combat, and she could utilize her Arwing (just as long as it is not yet another Landmaster Final Smash) to take out opponents from the air. Perhaps Krystal could have magic powers via her staff to dish out damage with fire, electricity, water, and wind. I'd love to see another female addition to the Smash Bros. lineup and Krystal fits that profile completely. 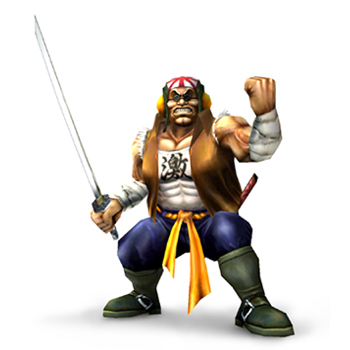 Already featured as an Assist Trophy in Brawl, the 3D model for Samurai Goroh, fierce bounty hunting rival of Captain Falcon, is already there, so why not build upon it and have him as a newcomer? He obviously attacks with his samurai blade, thrusting it into the depths of other characters' bodies, but he could also use other Japanese weaponry like a kunai, some shurikens, and sais. His Final Smash would take his Fire Stingray could run over unlucky victims much like Captain Falcon's Final Smash from Brawl. After all, F-Zero needs more representation. Another female addition to the Smash Bros. 4 lineup could be the main villain of Kid Icarus and the upcoming Kid Icarus: Uprising, Medusa. She could temporarily turn foes into stone, toss out a slithering snake or two to deal damage, shoot eye beams from her glaring vision, and her Final Smash could have her growing to extremely large proportions to pound some sense into her opponents. It seems obvious that Nintendo is pushing Uprising beyond their normal marketing measures. Could Kid Icarus become one of their mainline franchises once more? 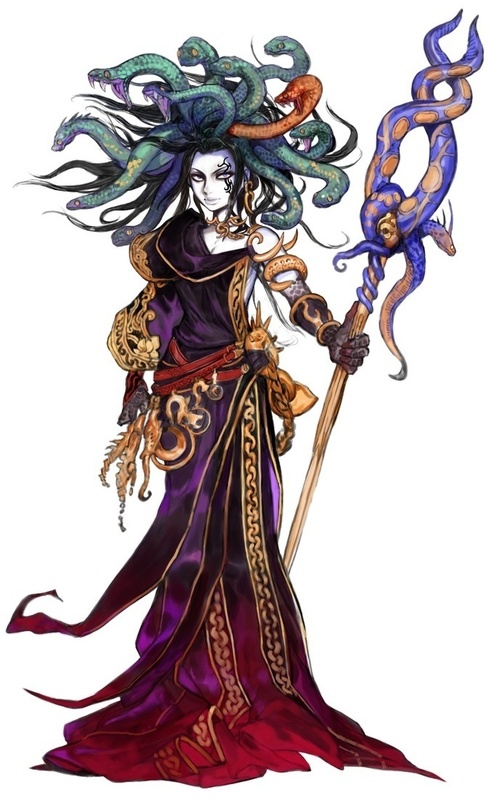 Putting Medusa as a main character in Smash could help that greatly. Animal Crossing was represented in Brawl with the series's own category of trophies and its own stage in the form of Smashville. 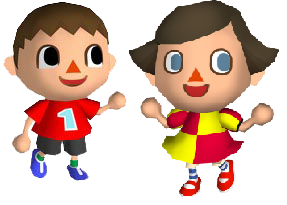 Now it is time for the two avatars of Animal Crossing to pair up a la the Ice Climbers and let out all of that stress of owing immense amounts of money to Tom Nook. They already have the tools to do so: bug catching nets, axes, fishing rods, watering cans, shovels to bury Pitfalls, and much more. A decent Final Smash could have a flurry of Animal Crossing characters quickly marching through a given stage, carrying unfortunate victims across the screen and out of bounds to their demise. Those are just some of my ideas for interesting newcomers for the next Super Smash Bros. game which is due out in the long, faraway future. Which characters would you like to see make their first appearance as playable fighters in Super Smash Bros. 4? Give me a holler in the comments section. I think Reshiram and Zekrom from Pokemon Black and White, and the new ones coming to Pokemon Black & White 2. Also, Bullet Bill. Don't ask why, but I think he'd be cool! Agree with King K Rool and Ghirahim and Krystal and Medusa would be cool to counter Pit. Not sure if Nintendo will add Ridley, but I'd welcome him. I'd like to see Toad become a character. I think there is some potential there. Dillon from the Rolling Western could also make for a great character. I want Miis! Dr. Mario coming back would be nice too.